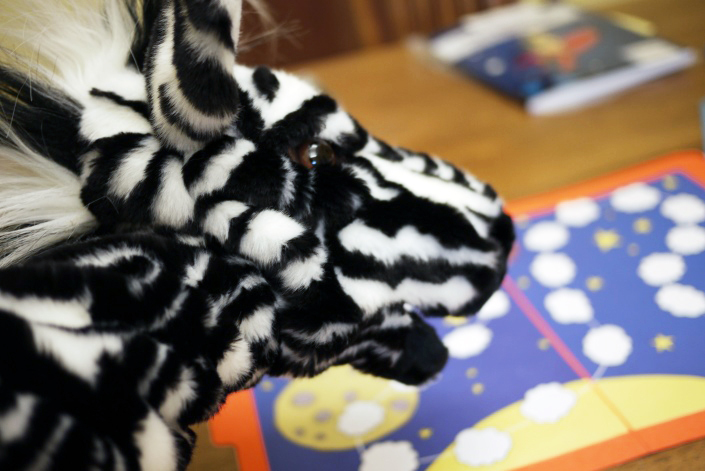 Reading Games with Ziggy the Zebra - All About Learning Press, Inc.
Reading Games with Ziggy the Zebra is a supplemental product that can be used with All About Reading Level 1. This full-color book with perforated pages features nine file-folder games that reinforce the skills taught in All About Reading Level 1. 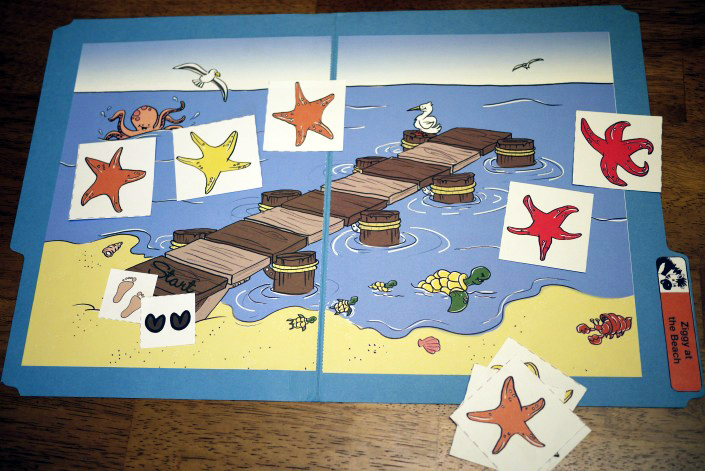 Your student will practice important concepts like blending, counting syllables, and recognizing vowels and consonants, and will have ample opportunity to review the Phonogram and Word Cards from the All About Reading program. 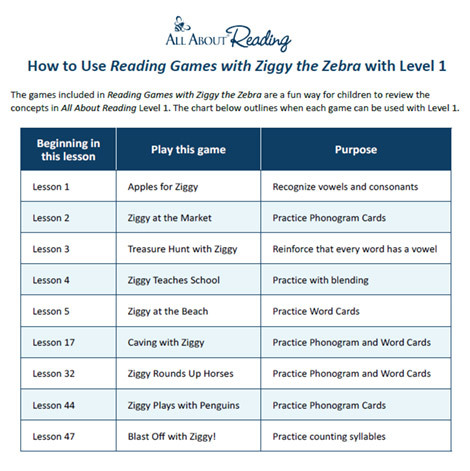 Click the image below to see how Reading Games with Ziggy the Zebra correlates with All About Reading Level 1. To play, choose your game piece. 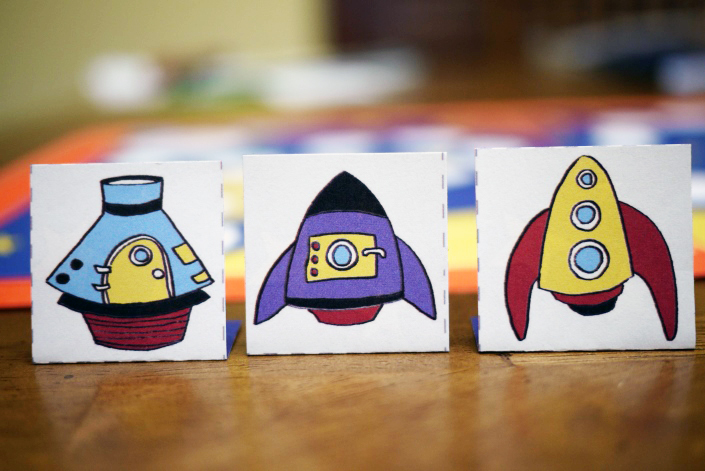 When you are done playing, store the instructions and game pieces in the front pocket provided in the book. Ziggy travels to each continent and practices his reading skills. 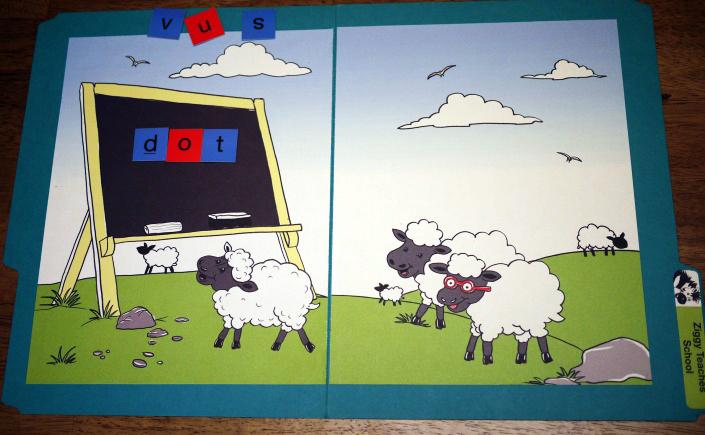 Here he is teaching sheep in New Zealand how to read. And here Ziggy goes to the beach in Cape Town, South Africa. Other destinations include Paris, a Caribbean island, Mongolia, and the South Pole. 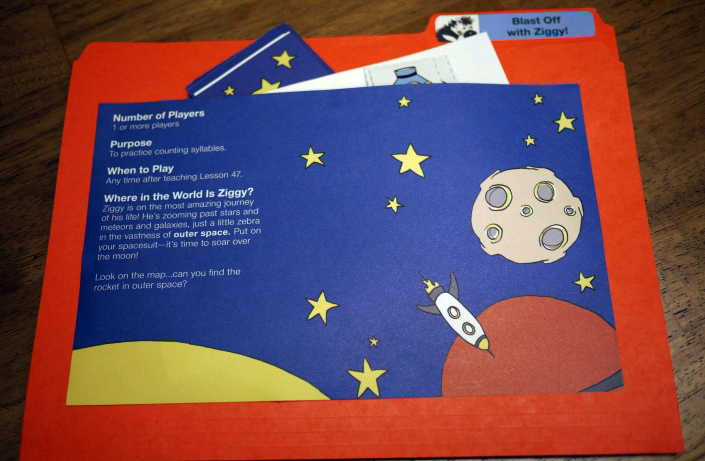 Your child and Ziggy go to each continent and outer space, too! 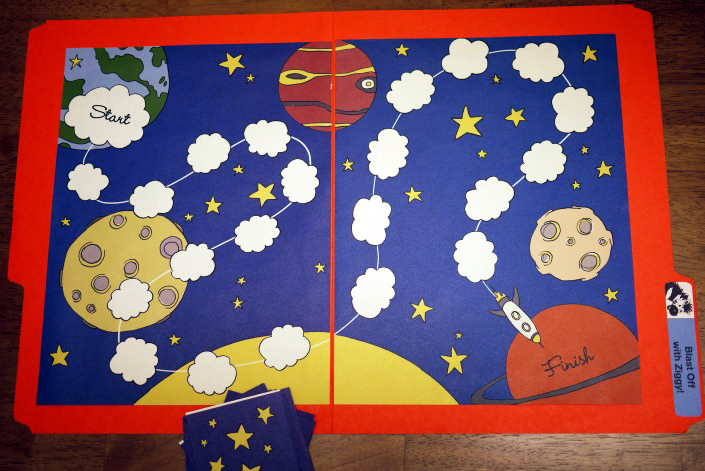 The book includes a map so your child can keep track of the places visited. You can store your reading games in a file drawer, between two bookends on a book shelf, or in a plastic storage bin. Your kids will want to take them out again and again! This is an optional item that can be used alongside AAR Level 1.